Our vision is to inspire leaders to command the worlds’ stage and be seen as the change agents and visionaries of tomorrow in their field, so they have a greater impact and achieve extraordinary results. We help leaders write and deliver speeches that build reputations. Our company was founded on the following key values. These shape our decisions and help us lead by example. Our unique approach is comprehensive and multidimensional. It includes key elements that help individuals and teams succeed and achieve extraordinary results with our coaching and training programs. 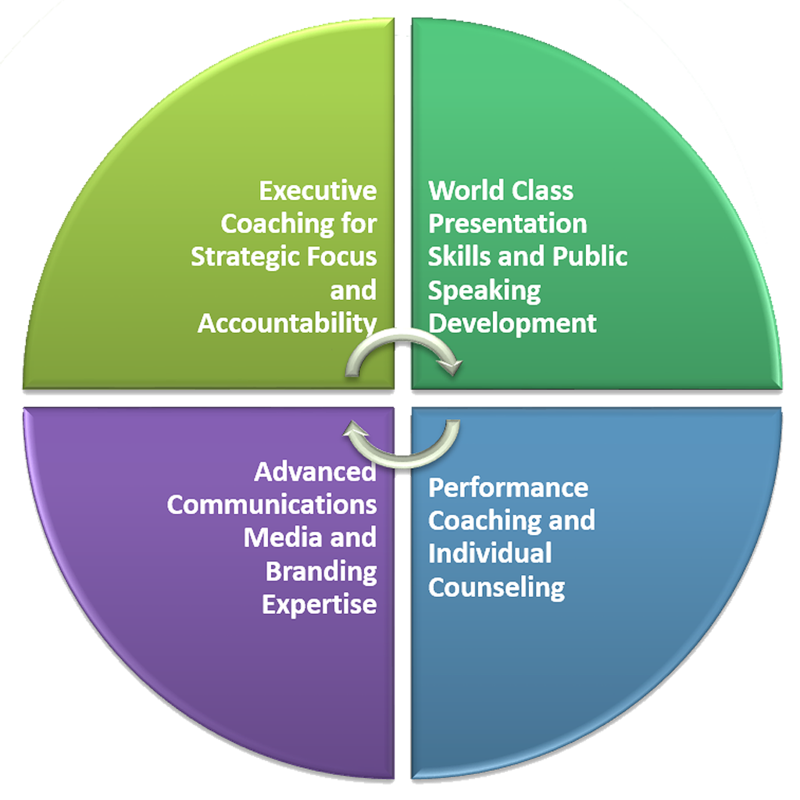 We acknowledge the different learning styles, motivations and personality styles of each individual and customize our executive speech coaching and presentation skills workshops so each person can excel. We approach each client with a clean slate. We do not follow a “one size fits all” program and customize our approach to the goals, abilities, personality and aspirations of each individual or team. Our CEO, Narges Nirumvala is a much sought after paid, professional speaker. She walks the talk and has spoken at hundreds of events. She has insider experience of the techniques, challenges, triumphs, and audience expectations. We go beyond just standard public speaking and presentation skills into areas essential for leadership such as compelling storytelling and building your executive presence. We have extensive experience working with executives and leaders from highly technical backgrounds such as finance, science and engineering. We show you how to communicate technical material in a way that is inspiring and engaging to audiences at all levels. We have a deeper knowledge and understanding of technology. Narges Nirumvala is Microsoft Certified PowerPoint Expert and has years of experience working with decks to make your PowerPoint presentations more visually appealing and powerful. We have experience working with C-Suite executives taking their companies public and have prepared them for their IPO road shows and subsequent quarterly investor/Q&A calls.